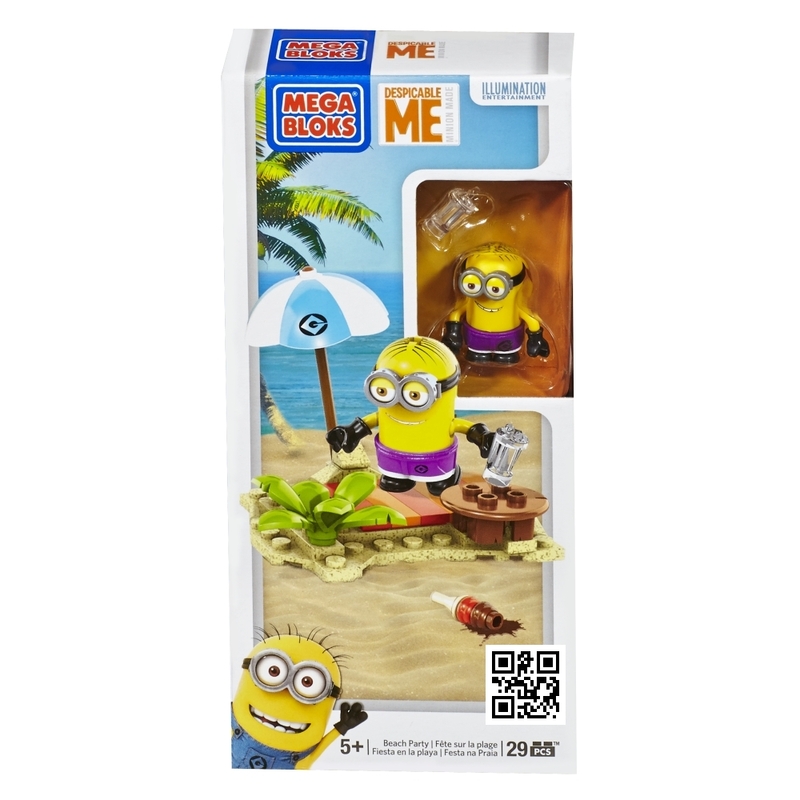 Product Description: It’s going to be a sizzler out there at the Beach Party by Mega Bloks Despicable Me™. Lay your towel on the sand, plant your sun umbrella and soak up the sun. You can build your Minion and customize him with beach shorts and ice cream cone. Then invite all your Minion friends to come over to get the beach party started! Features: • One buildable Minion character with ice cream cone accessory • Interchangeable parts including shorts, goggles, arms and feet • Fully buildable beach environment including a beach blanket, sun umbrella, plant, table and glass • Collect them all and build your own mischief!